This important 1990 book provides a comprehensive survey of English organ building during the most innovative fifty years in its history. Between 1820 and 1870 a number of influences combined to bring about a radical transformation in the design and use of English organs. 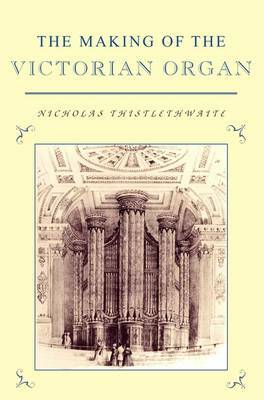 Thistlethwaite considers most of the major church, cathedral and concert organs built during this period and the work of individual builders is discussed, especially that of William Hill, whose career forms a linking thread to the narrative. The book contains valuable sections dealing with business organisation and workshops, the provision of organs in churches and chapels, and questions of performance practice. It is richly illustrated with photographs and specially drawn diagrams and includes an invaluable appendix of organ specifications. This documentary source book and history is indispensable for all those, professionals or amateurs, who have an interest in the organ.